Setina’s Single Prisoner Transport Systems provide a secure area to hold the detainee and maximize Officer Comfort. Only Setina Single Transport units retain the full roll bar-type framework design for structural integrity. Also, only by Setina, is our unique S-Bend design positioning the unit further back on the Driver side rather than on the Passenger side, with no obstruction to the Driver’s seat travel. Setina is devoted to Constant Research and Technological Advances to engineer cutting edge mounting designs. Our Superior Mounting Systems are designed for Quick, Easy Installation, mounting to the strongest points inside the vehicle, creating our Space-Saver efficiency for maximum driver and passenger legroom. 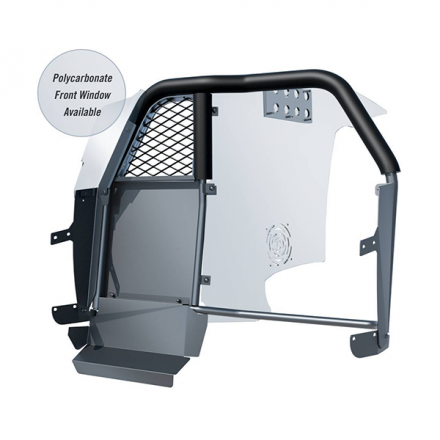 Front Window available with Vinyl Coated Expanded Metal or Coated Scratch-Resistant Polycarbonate. Center Divider available with Vented, Full Coated Scratch-Resistant Polycarbonate Wall or with a 70% Steel Lower Section and 30% Upper Polycarbonate Window Section Wall. Scratch-Resistant Coating prolongs polycarbonate’s Life & Clarity. Backed by 7-year limited warranty against yellowing, abrasion, breakage, & coating failure. Our Coated Polycarbonate is Completely Transparent for Maximum Driver Visibility. Heavy Duty, Roll-Bar type Steel framework. Engineering to attach to the strongest points of the vehicle, strengthening the B-pillar door posts and top between the center posts. A unique, space-saving design follows the contour of the seat for maximum driver & passenger leg room. Heavy Duty 1-5/8″ O.D. steel tubing framework. 14 gauge steel seat back protector panel welded to the steel framework. Heavy Duty, extruded aluminum window framework. Heavy-duty pile lined, window channeling for a rattle-proof design. All window frames are formed to fit and bolt to the inside radius of the main steel framework. 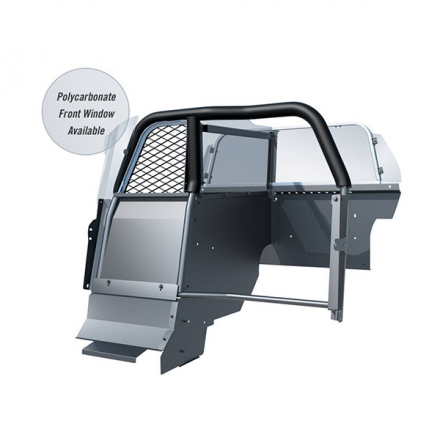 SUV Single Prisoner Partitions require a 12VS Rear Cargo Partition. 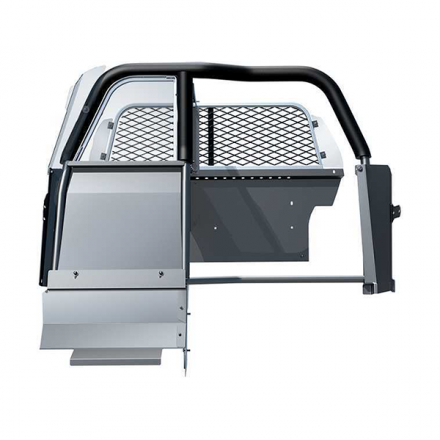 The 12VS ensures the security and separation of your rear gear and cargo from back seat passengers. Available with Vinyl Coated Expanded Metal or Coated Scratch Resistant Polycarbonate Window.